THIS SITE BASICALLY TAKES THE P*** OUT OF SUNDERLAND AFC AND THE MACKEMS OF THE WORLD! Finally all of the knackered links on the Downloads page have been repaired!! And Moon Truth has finally landed on Pratina. The long awaited and needed refurbishment of pratina.vze.com has begun, so keep checking back for developments to the site. Spent some time away from Gallowgate over the past few weeks? There is one hell of a sandwich shop in Morpeth. Just over the road from the Market Chippy is Roch`s Catering. Roch is as you can tell from his name not Geordie born but he is as Black`n`White as the rest of us. His sarnies are magic. It takes two hands to hold them, so divent order coffee, gan back for it! Roch also used to keep goal for Newcastle United, and has his goalkeeper coaching badges. 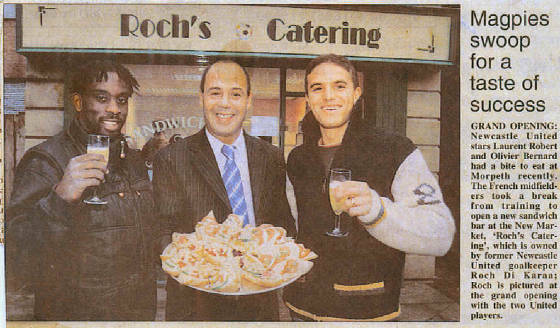 Here we see Roch with Olivier Bernard and ex-magpie Laurent Robert at the grand opening. 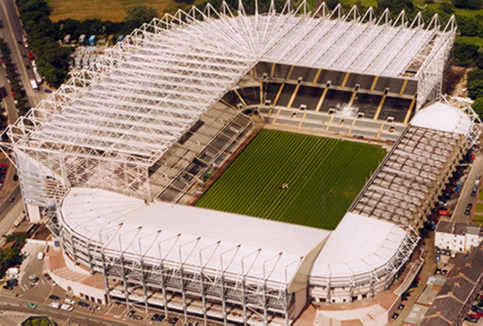 The cathedral on the hill, St. James Park, home of the Toon Army. 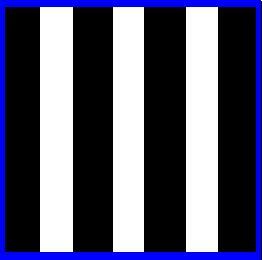 THIS SITE IS A MUST FOR ALL TOON ARMY TROOPS!